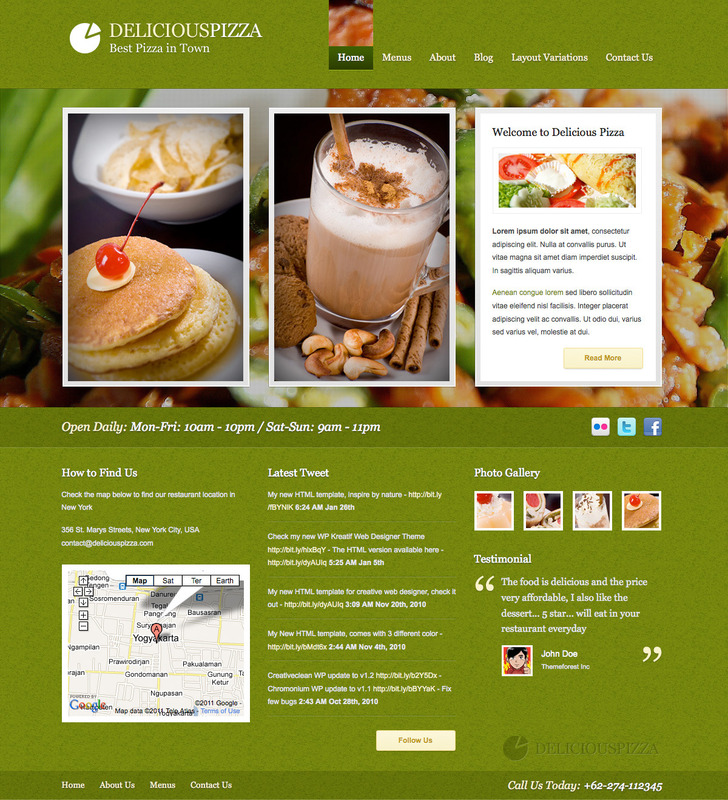 This is Wordpress version of my Green Delicious Restaurant template with 3 variations color (Blue, Green and Brown). You can use it for anything especially for Restaurant or Cafe. 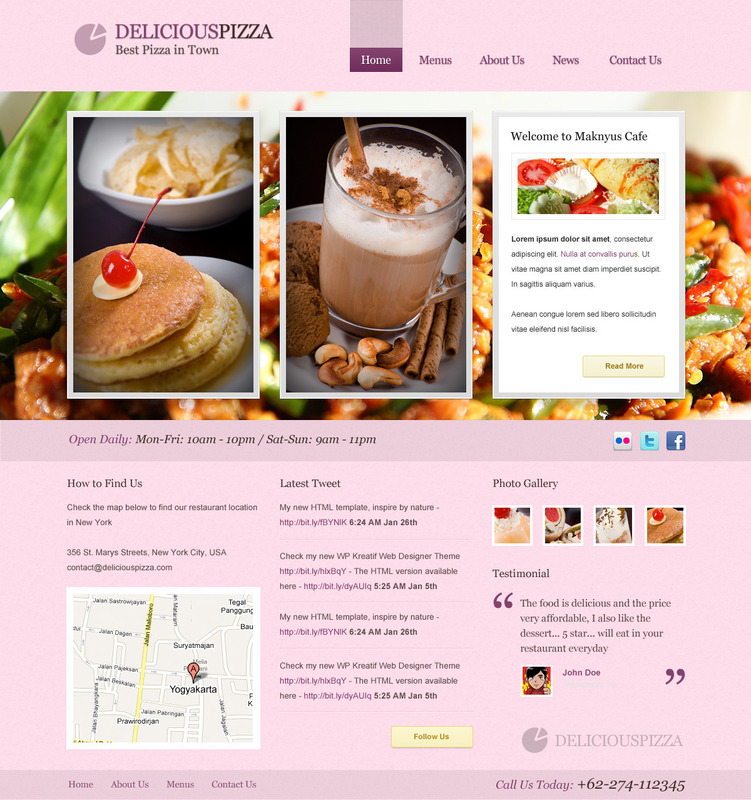 This template only for Wordpress 3+. This theme supports custom menu and 8 widgetized areas (three in the homepage, three in the footer and two in the sidebar) and featured images (thumbnails for post, testimonial, team, review, foods and gallery). 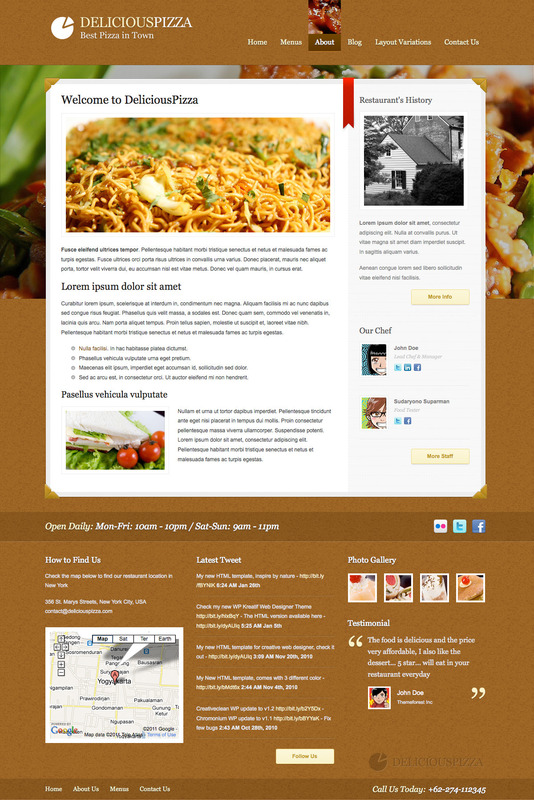 This template also have 6 custom post (Testimonial, Gallery, Team, Foods, Review and Gallery). 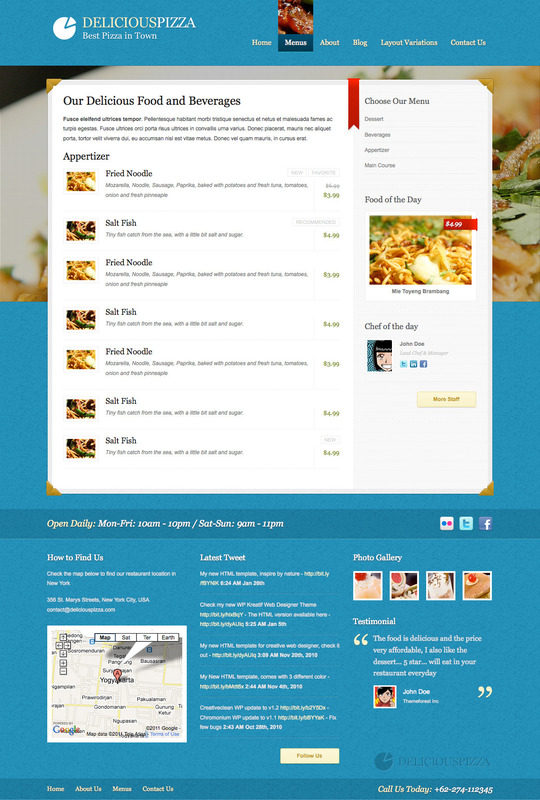 Notes: This Theme use Wordpress 3 Menus System. If you never use Wordpress 3 before, please go to Appearance -> Menus to set the navigation Menu. 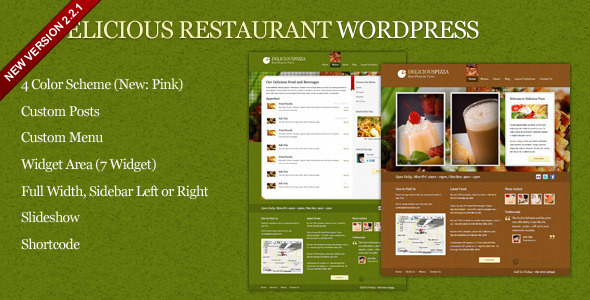 Here’s a good video tutorial how to use Wordpress 3 Menus System -> http://www.youtube.com/watch?v=kKMpBggOKuE. Menu Builder / System it’s a great new feature in Wordpress 3 and you should use it to create navigation.